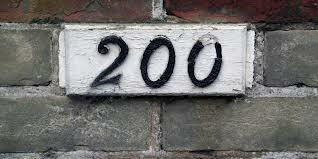 While I haven’t been counting, WordPress recently notified me that this will be my 200th post. It’s a large enough number to warrant acknowledgment and reflection. This figure does not include dozens of posts I began, to capture an idea or a thought, that I either chose not to develop or incorporated into other pieces of writing. Much of what I’ve written here as standalone blog articles could be expanded or deepened. In a sense, this blog is both a finished product and a rough draft, both a record of lived moments and an invitation to say more. Some things haven’t changed since I published my first post. I still experience assorted forms of anxiety each time I send my writing out into the world. There is the anxiety that no one will read it. And there’s the anxiety that people will read it and grossly misunderstand, pooh-pooh or criticize it. There’s the anxiety that the people whom I want to read my writing won’t, and that the folks I don’t particularly want to read it will. On a sensory level, this sometimes involves a more rapid pulse and the build up of dread, like existential plaque, in my solar plexus. That I’ve faced these uncomfortable sensations again and again has helped me build my capacity to tolerate these ephemera so that I can become incrementally more vulnerable and authentic with my expression with less and less fear. Indeed, without anxiety signaling that I’m expanding my comfort zone, what would be the point of writing? If these anxieties are trolls guarding a bridge, on the other side is the surprise, gratitude and even profound joy when readers let me know how my words or experiences have impacted them, or when they find what I say valuable enough to share with others. Some of these people are regulars (thank you! ), and others I’ve never met. Yet, through correspondence, I now feel that some of these “strangers” connect with me on a deeper level than people I interact with in real time, all because in entering a few words into the Google oracle they were directed to my eclectic blog. While, over time, certain themes have evolved, sometimes it feels like I’m sending messages in bottles across the choppy and crowded waves of the blogosphere. When one is found, opened and read, and I receive a heartfelt reply about how I’ve helped a person, the world feels smaller and friendlier. Other things have changed since that first post. I’ve made some cosmetic adjustments, such as to the layout of this blog. I added a Facebook page, too, and a Twitter account after duking it out with the demons of doubt. While I don’t spend much time posting in either place, I have made fruitful, virtual connections with Feldenkrais fans around the world and “met” other writers whose work resonates with mine and vice versa. More striking are the internal changes I’ve noticed. The more I write, the more I feels as though I’m erecting a sturdy inner scaffolding for my experience that, increasingly, bolsters me regardless of whether anyone is engaging with my writing in obvious ways (many readers are silent). Which is why I’m focusing on how many posts I’ve published, a measure of my own dedication and energetic investment, rather than the number of followers and page views. While I’m glad those are steadily growing, I’m discovering that the true rewards of writing are inherent to the process. There are the small satisfactions of finding the most appropriate word or phrase, of experimenting with structure and voice, of making connections between diverse experiences and different parts of my life, of challenging myself to reinterpret and reconsider my own stories and beliefs. The best writing sessions are the ones in which I’m left surprised by where the process took me. To quote Moshe Feldenkrais again, “We do not say at the start what the final stage will be.” Let it be so. Writer, Feldenkrais champion, Aikidoka and explorer of internal and external landscapes. Well done! Your steadfast writer’s resolve is worth way more than 200 toe touches–even with straight legs! Thanks, Ken! And thank you for being such a stalwart supporter. Each of your “likes” means a great deal to me.